I first saw High on Fire at the Soundwave festival in 2010. I had seen Dimmu Borgir earlier that day, who were the other band, besides Slayer, that I wanted to see. 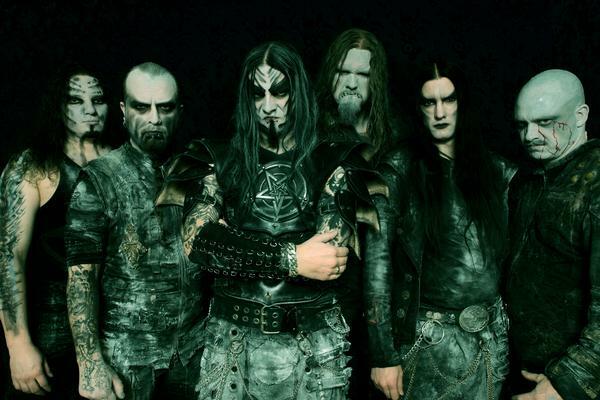 Dimmu Borgir are one of those scary death metal bands from Scandinavia that have worked up a kind of pseudo-pagan mythology to bolster the usual Satanism and dress-up shenanigans that accompany their kind of product. It was hot and the sun was out, which was in stark contrast to the cold and dark ‘rooftop of the world’ setting that contributed so much to their mystique. When the singer addressed the crowd, ‘Thank you Melbourne! We will now play some older material!’ it became all the more ludicrous. They were sweating heavily under their costumes, a mixture of Mad Max III and Conan the Barbarian; the organ player was draped over his instrument like a pile of wet washing. Slayer were playing later that afternoon, so I had some time to kill. I wandered around and caught a couple of bands mid-set. Metal music, when you know it, is even looser and more raucous live. If you don’t know it, on the other hand, those two elements make it all the more impenetrable. I saw a few bits and pieces of a few different acts, and my attention was drawn to one stage where bands were in-between sets. It’s always good to catch a new band at the outset. At a festival, it’s like starting a book at the beginning, instead of having to pick up the story a few chapters in. They were a three-piece, and while this is the historical format for heavy music (Jimi Hendrix Experience, Motorhead), it has become unusual in modern guitar-driven rock because without a lead and rhythm, the scope for complexity is vastly reduced. The lead singer wore nothing but jeans. His face was hard to make out, given half of it was obscured by stringy hair, the other by big furry chops. He was flabby and pale and covered with little sailor tattoos. When he started playing, he was literally like Zeus casting lightning bolts. And the guy could sing, which in metal music, means having a voice which can carry without splintering over the bombast roaring out of the PA. Matt Pike is one of the best live musicians I have seen. Pike reminds me a lot of Beth Ditto from The Gossip, before she let the stylists get to her. Ditto was obese and used to get out on stage in badly-fitting lingerie and abuse her audience with a voice that was like steel-belted junk-yard gospel. She was anti-glamour, which was in stark contrast with the beautiful, soulful but primal voice that you could feel smacking against your skin like an open hand. Pike is similar, but probably less-striking in the anti-glamour stakes because he’s a man. At the same time, he always plays bare-chested and looks like the closest thing he’s done to a sit-up would have been getting up out of bed. High on Fire play a brand of old-fashioned metal reminiscent of Motorhead crossed with Celtic Frost; there’s plenty of awkward shifts and the music is often pitched as rhythmic noise. Similarly, they ascribe to the Dungeons and Dragons mythology. When you see Pike, rolling eyes and busted teeth, you understand that he’s not into literal devil-worship; it’s just a pretext. Their music is about the invocation of old gods, all of whose names are pseudonyms for glorious chaos. It’s the contradiction of flesh versus spirit. This entry was posted on January 25, 2014 at 11:27 pm and is filed under Music, Observation with tags Beth Ditto, Buzz Osborne, Conan the Barbarian, death metal, Dimmu Borgir, Dungeons and Dragons, High on Fire, Mad Max III, Matt Pike, Motorhead, Satanism, Scandinavia, Slayer, SoundWave Festival, The Gossip, The Jimi Hendrix Experience, The Melvins. You can follow any responses to this entry through the RSS 2.0 feed. You can leave a response, or trackback from your own site.